This is how young director Paolo Herras sums up his dark comedy film “Buhay Habangbuhay”, an entry to this year’s CineFilipino Film Festival. 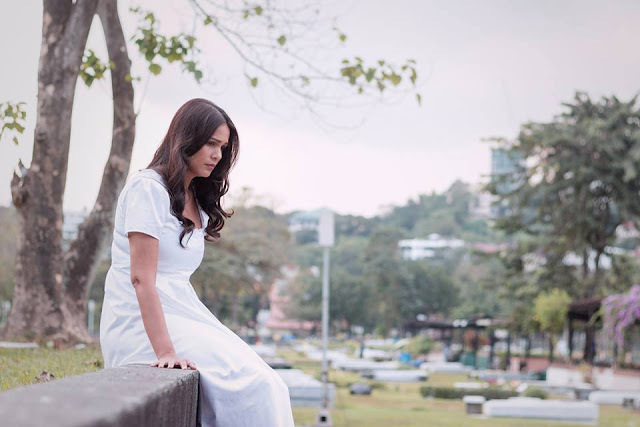 The film is about Sandy (Iza Calzado), a devoted wife, who after passing away, waits for her husband Joel (Jake Macapagal) to die so they can move on together in the afterlife. As a ghost, she befriends an “anito” spirit (Ricci Chan) and learns to live with her son Christopher (Nhikzy Calma) and Joel’s second wife (Meryl Soriano). “My stories have always been literary. They have always been metaphorical…magically real,” Herras told INQUIRER.net.